Praised by Opera News as a “standout”, young mezzo Gina Perregrino is already garnering attention on stages around the country. During the summer of 2018, Ms. Perregrino joined Santa Fe Opera as Paquette in a new production of Candide by Laurent Pelly. This season, she returns to The Atlanta Opera as Nica in Charlie Parker’s Yardbird and appears as a soloist with the Dallas Opera for the Hart Institute for Women Conductors Concert. In the 2017-2018 season, Ms. Perregrino joined The Atlanta Opera where she sang Anna I in Seven Deadly Sins and Edka in the world premiere of Out of Darkness: Two Remain by Jake Heggie. The 2016-2017 season included several operatic debuts. 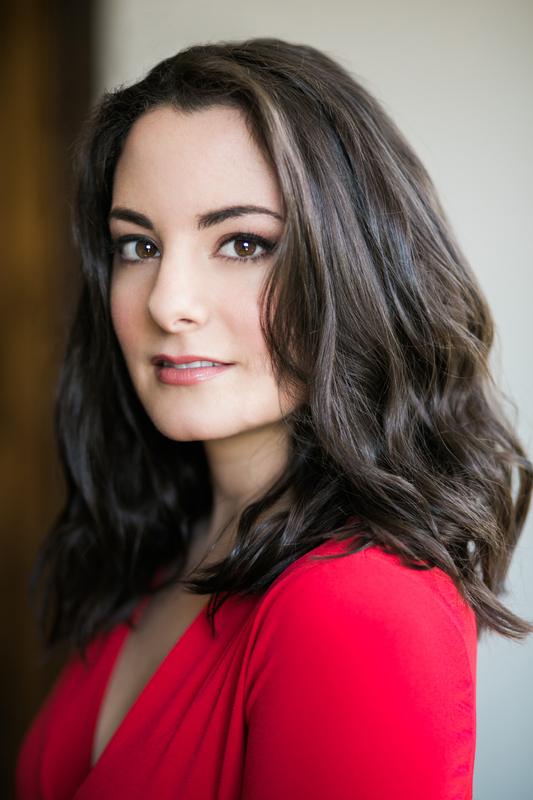 Ms. Perregrino was heard at Minnesota Opera for two productions, singing Stéphano in Romeo et Juliette and Clizia in L’arbore di Diana. While with the company she also covered Wellgunde in Das Rheingold and Lucy Talbot in William Bolcom’s world premiere of Dinner at Eight. She joined Querido Arte in Guatemala where she sang Maddalena in Rigoletto in a production that was broadcast on Univision TeleOnce throughout Guatemala and parts of Central America. That summer, she made her company debut at Central City Opera as an apprentice artist where she sang the title role in a performance of Carmen. In the 2015-2016 season, Ms. Perregrino was the grand prize winner of the Metropolitan International Vocal Competition where she sang the Brahms’ Songs with Viola in a winner’s gala at Lincoln Center. She is an Encouragement Award winner from the Metropolitan Opera National Council. She was a soloist with the Cincinnati May Festival as part of their Dream Project, which included Mendelssohn’s A Midsummer Night’s Dream and Vaughan Williams’ A Tribute to Music. In the 2016 summer season, Ms. Perregrino made her debut with Opera Theatre of Saint Louis singing Blindwoman in the world premiere of Shalimar the Clown, and covered Composer in Ariadne on Naxos. Ms. Perregrino is a graduate of Manhattan School of Music where she earned both a bachelors and masters degree. There she performed the leading role (Marquise de Merteuil) in Conrad Susa’s contemporary opera Dangerous Liaisons under the baton of George Manahan, for which she received critical acclaim.